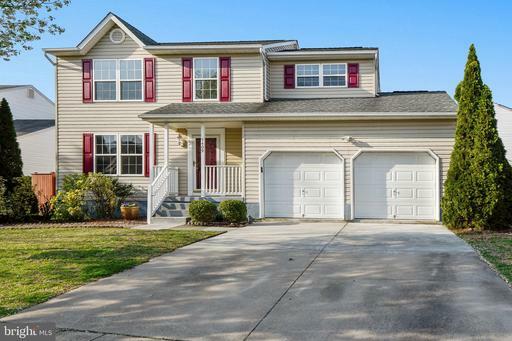 Gorgeous split foyer home with tons of living space to offer indoor and out. 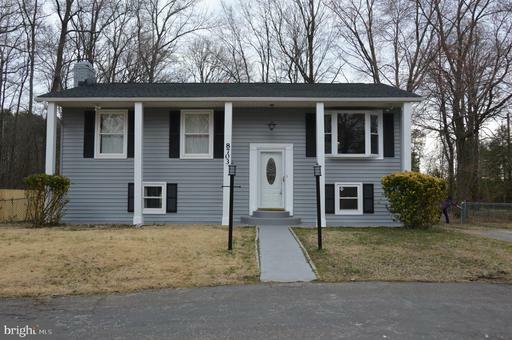 3 BR upstairs and a newly re-finished bonus room in the basement! Enjoy your mornings on your deck conveniently located off your large kitchen, or in your enormous screened in patio. Plenty of storage downstairs, as well as in the 2 sheds out back, 1 equipped with electricity! 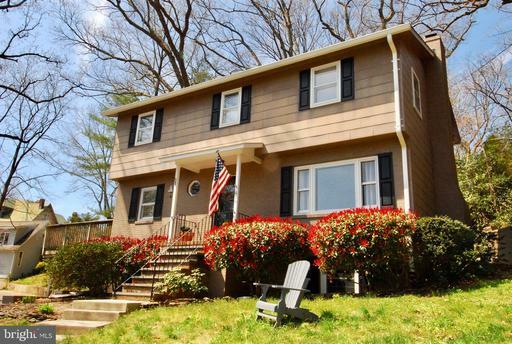 Freshly re-finished beautiful hardwood floors throughout the main level, completely renovated full bath downstairs. 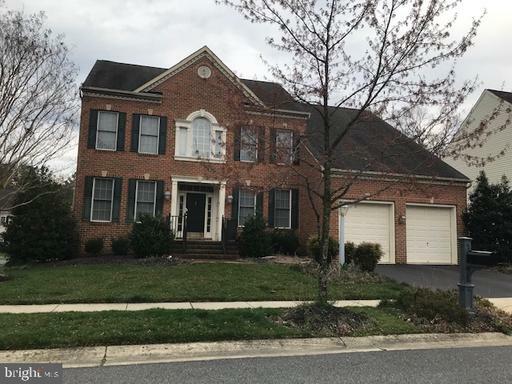 Close to shopping such as Arundel Mills and convenient to main roads for an easy commute.Sellers offering Home Warranty and have scheduled for the driveway to be resealed. Come see this "Lucky" house as it wont last long! 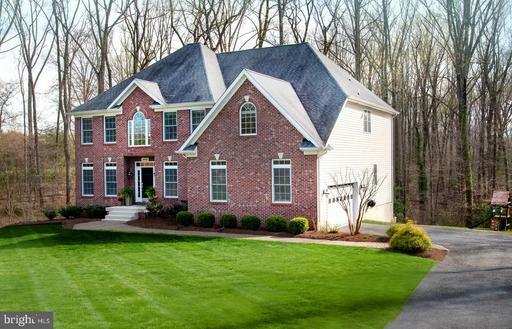 Rarely Offered Severn Manor Colonial. This 4 bedroom 3 1/2 bathroom home features stunning, Brazilian Koa hardwood floors throughout the main and second levels, Master Suite with super bath, walk in closets and sitting room, finished walk up basement with third full bathroom, gas fireplace, granite counters, full house generator, and so much more. 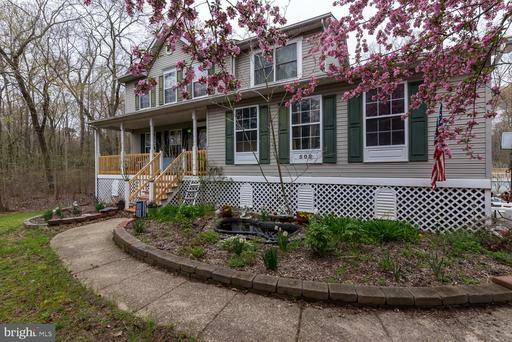 Located at the end of a cul-de-sac, this home offers great privacy while being within minutes of downtown Annapolis and easy access to route 50. Well cared for detached 1 level home. Features 2 car garage, large family room addition with pellet stove, nice patio with great backyard, 3 bedrooms and 2 full bathrooms. OPEN HOUSE, Friday, April 19 from 6 to 8, Saturday, April 20 from 11 to 1. Experience the openness of this 4,290 sq.ft. custom colonial. Main level features wide-open floor plan. Upscale gourmet kitchen with granite counter, 7~ island, GE Profile appliances, and plenty of cabinet space! Family Room has a soaring ceiling and stone gas fireplace. Breakfast Room off Kitchen with plenty of morning sunlight. First floor also has a FULL bath, home office, Dining Room and Living Room. Luxury owners suite with upgraded Spa Bathroom and custom closet organizer. 2nd floor laundry for your added convenience. Cat walk overlooks the large 2 story family room below. Lower level has large rec room featuring wet bar, gaming area, home theater and large storage room. Plenty of parking with 3 car garage, driveway, and on-street parking. Additional features include irrigation system, whole house music system and gutter guards. Come to see all this home has to offer! CONTRACT RATIFYING***Welcome to 7929 Stone Hearth! The Provinces Community is one of Severns Best Kept Secrets! 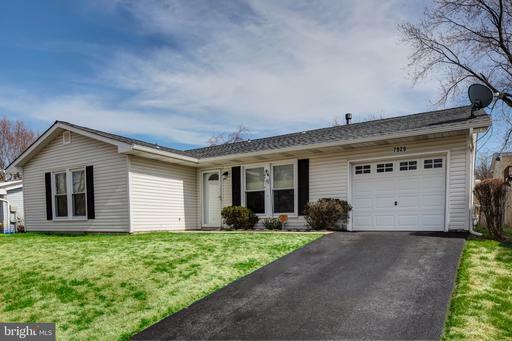 This lovely home is open spacious and brags a fantastic rear yard! 4 bedrooms and 2 full baths with an oversized 1 car garage! There is so much room in the kitchen, you will love the prep space and breakfast nook! All appliances convey - even the washer and dryer! The master suite is perfect - large walk -in closet and full bath! 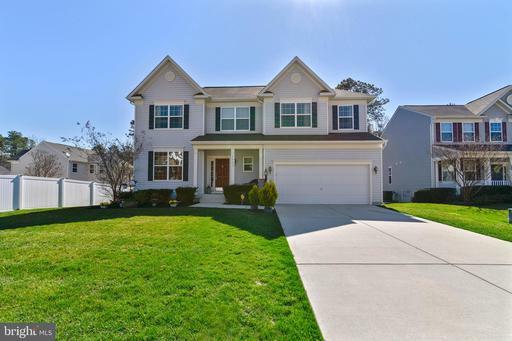 This home has been impeccably maintained and is truly "move-in ready". New roof, gutters, and HVAC in 2016! Incredible location - Minutes away from some of the best retail shops and dining! A true community feel with an active civic association, sidewalks, and neighboring parks! You are going to love how peaceful and friendly this community is! Minutes to Meade/DISA/NSA/CYBERComm and BWI! Brand new carpet and freshly painted! Welcome home! Almost an acre in Severn. Diamond in the rough. Very nice rancher that needs some work but great location. The possibilities are endless. Land is Zoned R5 confirm with County. Current public water hook-up is approved for existing. Buyers responsibility to confirm with County. 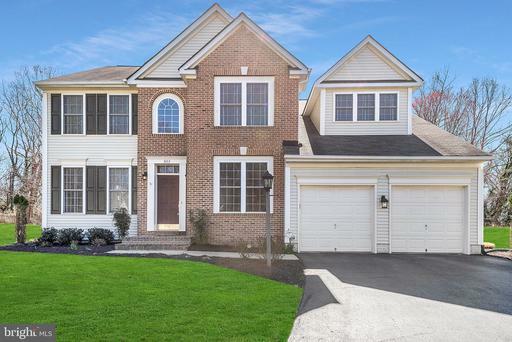 Beautiful Rare Colonial in Sunrise Beach/Arden on the Severn! From the moment you walk in updates galore! Too many upgrades to name them all, A must see. 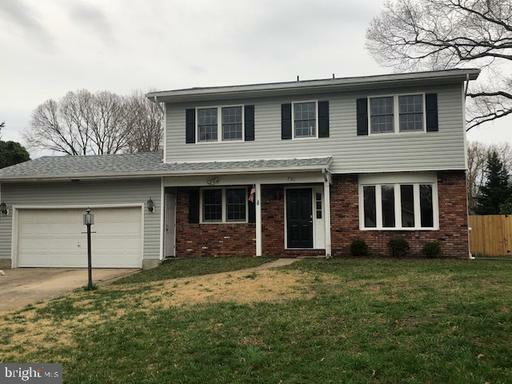 Granite countertops and bright designer Wolf Cabinets in kitchen, updated bathrooms, Landscaped Yard, fully finished basement with wet bar, bedroom/workroom family room. Tons of storage inside spacious closets with organizers, spacious pantry,multiple closets in the basement, 2 Sheds. Privacy fenced backyard with deck, fire pit play set. Perfect for outside barbecues. Access to 4 beaches, volleyball/horseshoes/grilling/events like beach movie nights 4th of July fireworks over the Severn, 4 piers with boat ramps, fishing/crabbing access tot lots. You will love making memories in this home, Lifes a Beach Schedule a private showing today. A cobble stone drive and expansive wraparound deck provide a pleasing introduction to this coastal craftsman designed by Teresa Todd, custom-built by Greg Lauer, and sited on a lush and private .85 acre, 3-lot parcel. A set of French front doors with overhead transom opens to the two-story foyer. 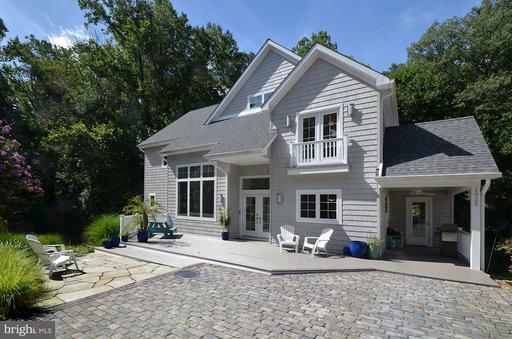 Double-stained white oak hardwood floors continue throughout the main level which features bright and airy living spaces, an elegant owners suite with French doors to a private deck, a sunroom with three exposures, powder room for guests, and laundry. The chefs kitchen has an adjacent pantry, custom Wolf maple cabinetry, integrated appliances, designer pendant lighting, farmhouse sink and a hand-picked 16.5 Carrera marble island. Upstairs is a second master suite, two additional bedrooms, a full hall bath and open play/office space that leads to a roof deck. The lower level living space offers a second kitchen, walk-outs to the rear decks, two additional bedrooms, a full bath, and laundry. Lindamoor is a water-access community with private beach and views of the Severn River and bridge. 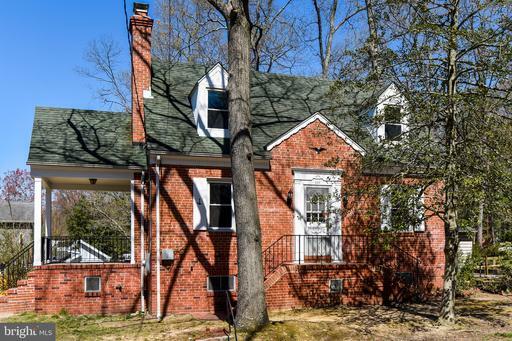 Ideally located close to downtown Annapolis, West Annapolis, and the Mall, 1925 Sleepy Hollow embodies ease of living in Marylands capital city. 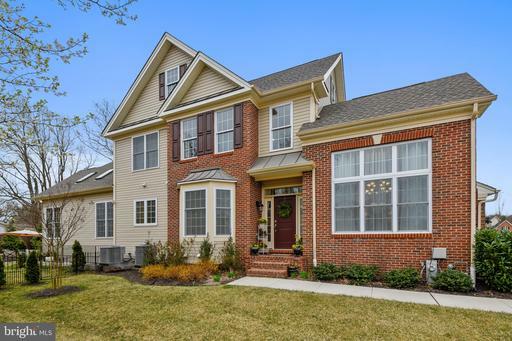 Welcome Home to 44 Lockleven in the heart of Olde Severna Park. 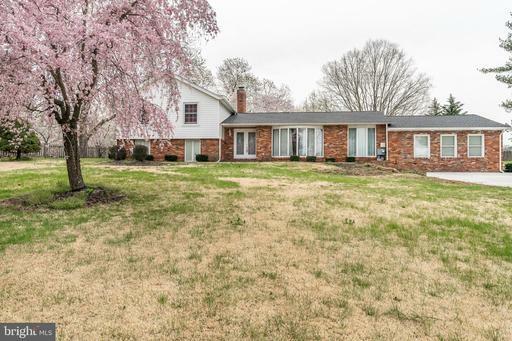 This all brick home features 4 bedrooms and 4 full bathrooms. Beautiful hardwood floors are throughout most of the home. The main level features a large kitchen, dining room, living room with fireplace and family room. Second floor features the master bedroom with a new bathroom, 2 additional bedrooms and bathroom. The finished lower level has new carpeting in the rec room, the 4th bedroom/office and a new full bath. Step out to the large level backyard for outdoor entertaining and playing! 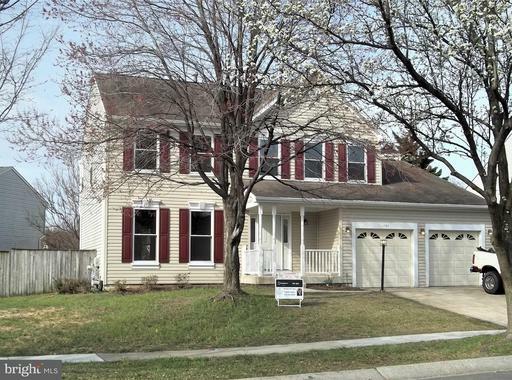 This home is conveniently located close to the Severna Park Elementary School, BA Trail and the shops in Severna Park. The community water privileges are located a few blocks away at the end of Maple Ave. near Severn School. Enjoy the covered picnic area, beach, boating and playground area. Bring your kayak, canoe or paddle board! Voluntary HOA. 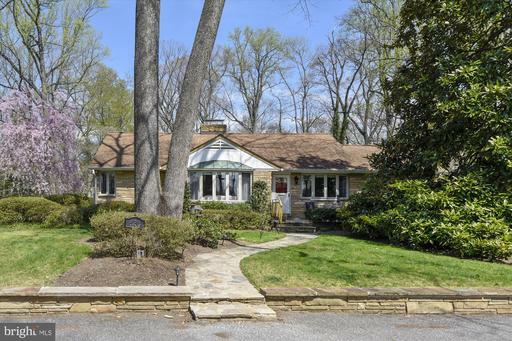 Great buy for Olde Severna Park! MOTIVATED SELLERS! CHARMING 4,345 sq. ft LOG CABIN SITS ON .73 ACRE LOT. GOURMET KITCHEN HAS SS APPLIANCES, 3 OVENS, GRANITE COUNTER TOPS! MAIN LEVEL - LIVING ROOM HAS DUAL WOOD BURNING FIREPLACE! HUGE ADDITIONAL FAMILY ROOM HAS GAS FIREPLACE CEILING FANS! SUN ROOM HAS WOOD FLOORS AND SKY LIGHTS! MASTER SUITE ON MAIN LEVEL - VAULTED CEILING, FIREPLACE, JACUZZI TUB, SEPARATE SHOWER, DUAL VANITY SKY LIGHTS! NEW CARPET, WOOD FLOORS, FRESHLY PAINTED THROUGHOUT! UPPER LEVEL HAS EN-SUITE WITH LOFT AND FIREPLACE! LOWER LEVEL - RECORDING STUDIO, THEATER ROOM AND OFFICE! WALK OUT TO EXTERIOR SIDE! ROOF HAS SOLAR PANELS, IN GROUND POOL! CLOSE TO AIRPORT, RESTAURANTS, SHOPS, CASINO! BUYER MUST CONTINUE LEASE ON SOLAR PANELS WITH VIVINT SOLAR! PROPERTY IS SOLD AS IS! MUST SEE! PRICED TO SELL! High end upgrades in this penthouse condo with sweeping views of downtown Annapolis and Spa Creek from the upstairs loft. Incredible spa like bathroom on the main level with huge Master bedroom. Both rooms feature custom made glass doors. Sleek kitchen with designer cabinets crafted with Birds Eye Maple, travertine flooring and upgraded fixtures. Loft area is perfect place to entertain or watch movies or sports, complete with bar and surround sound hook up. 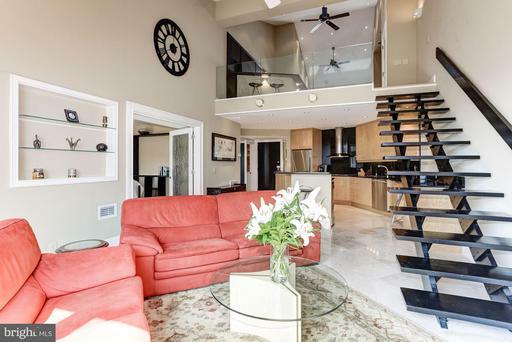 Maple plank flooring, vaulted ceiling and floating stairs add to the drama of this one of a kind penthouse condo. Private deck overlooks Spa Creek, downtown Annapolis and the Naval Academy. Watch the Blue Angles from your deck !! Two private underground parking spaces included. Lockable storage in the basement. 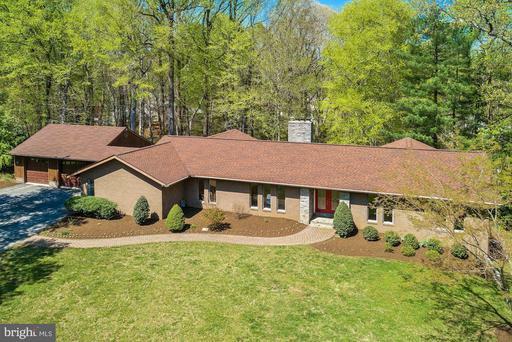 Stately flagstone rancher in sought after Ben Oaks on the Severn nestled on private double cul de sac lot; .554 level acres of lush landscaping surrounded by a spectacular flagstone hardscape. Spacious eat-in Kitchen with Corian counters, newer appliances, island/breakfast bar, recessed lighting, separate Dining Room. Main level Master Suite with walk-in cedar closet and luxurious Master bath featuring jetted tub, separate shower, heated floor tiles, skylight and walk-in closet. Living Room with large bay window overlooking beautifully landscaped front yard. Lower level complete with Family Room, game room, large wet bar, full bath with jetted tub separate shower, workroom with sink and extra fridge. Large driveway with room enough for 7+cars, professional landscaping, in-ground sprinkler system, 2 car attached garage, all season room/breezeway with heat AC, whole house generator and so much more to see here! Unmatched community amenities include a natural spring freshwater pool with expansive beach area, playground, deep water marina, fire pit, kayak/canoe racks and boat ramp, all overlooking the Severn River. Conveniently located to major commuter routes, shopping, dining, Ft Meade, NSA, BWI Airport, Baltimore, Annapolis and D.C. Call today for your private tour! Great 4 bedroom, 3.5 bath home in The Provinces! Features include: Bamboo hardwood floors, kitchen with granite, stainless steel appliances, 2018 stove dishwasher. Fully finished lower level w/full bath that has a large Jacuzzi tub. Outside enjoy the privacy of the fully fenced yard, entertain on the covered deck, and in-ground pool with a 2017 pool liner 25,000 gallons. Close commute to DC Baltimore, 32/100/295/95. 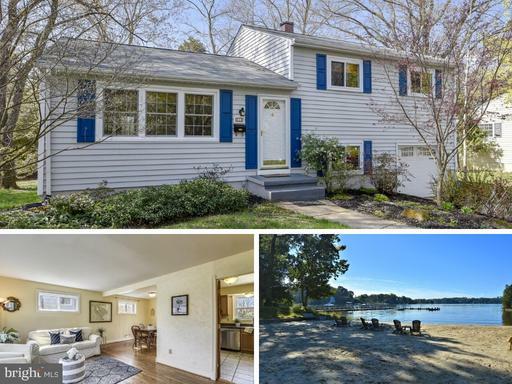 513 Evergreen Road is located in West Severna Park, a fabulous beach oriented community across from the Severna Park High School! 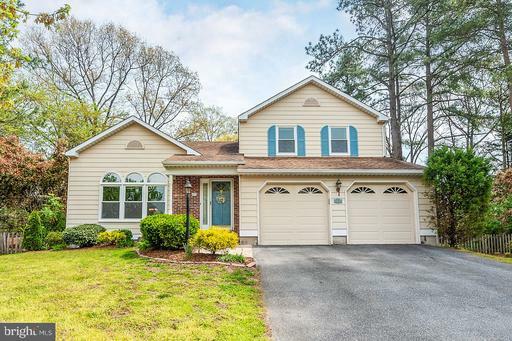 Not too far from the BA Trail, Severna Park Elementary and the heart of Severna Park. 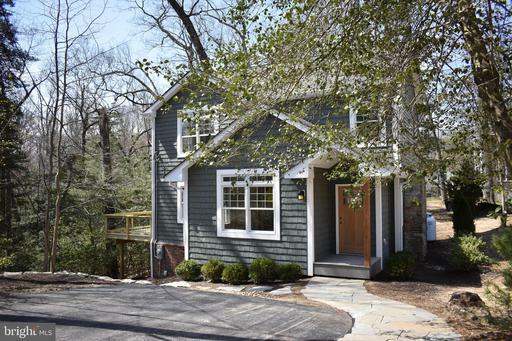 This home has gleaming hardwood floors and an updated kitchen with newer appliances. The backyard is spacious with an expansive deck, a deck off the master bedroom and a large shed. The roof was recently replaced in 2016 as well as the A/C in 2017. The tankless hot water heater and garage door are newer. 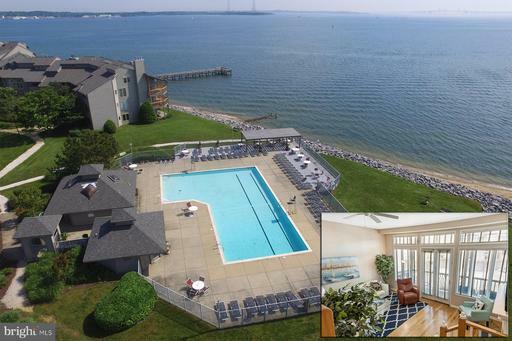 Community amenities include a Marina, Boat Ramp, Boat Slips no wait list!, a sandy beach with a pavilion, playground, and basketball court overlooking the Severn River! 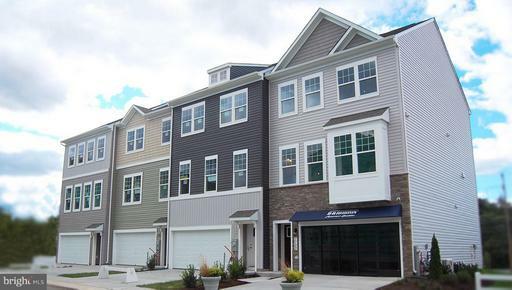 Brand New Community Clarks Crossing, 4BR, 2.5 Baths, 2 Story Foyer, Super bath in Master, Open Kitchen with Breakfast Nook, Stainless Appliances, Granite Countertops, Wood Floors, Open Family Room, All BRs have Walk in Closets, 2 Car Garage, A FREE REC ROOM IN THE BASEMENT 90 DAY DELIVERY!Choose your lot and Choose your Colors and Finishes, Closing Cost Assistance, Great Lots, Easy Access to Major Roads, Ft Meade, BWI, MARC Train, Come in today!! 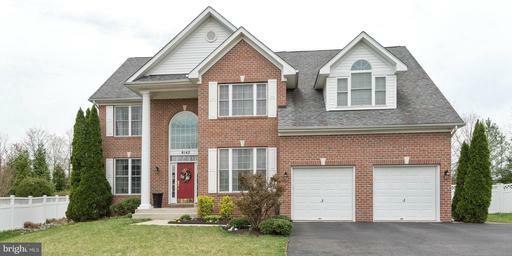 BEAUTIFUL 4 BEDROOM 3.5 BATH COLONIAL SITTING ON .22 ACRE CORNER LOT! GLEAMING HARDWOOD FLOORS, RECESSED LIGHTING, FORMAL LIVING AND DINING ROOM, FAMILY ROOM HAS WOOD BURNING FIREPLACE. KITCHEN HAS ISLAND, BREAKFAST BAR AND BONUS SUN ROOM THAT WALKS OUT TO BACK YARD! MASTER BATH HAS DUAL VANITY, OVERSIZED TUB AND SEPARATE SHOWER. 4 BEDROOMS ON UPPER LEVEL ALL HAVE LIGHTED CEILING FANS! LOWER LEVEL IS PARTIALLY FINISHED WITH STUNNING FLOORING AND UPDATED FULL BATH! PART THAT IS UNFINISHED ALREADY HAS INSULATION READY FOR DRYWALL! 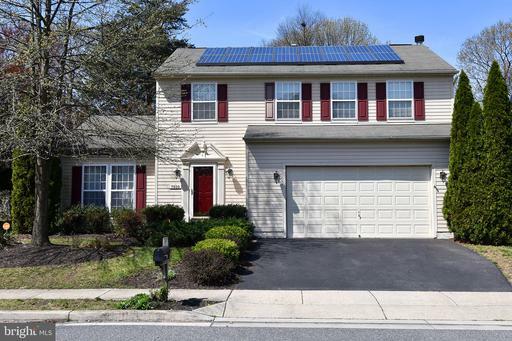 BUYER MUST CONTINUE LEASE ON SOLAR PANELS! PROPERTY IS SOLD AS IS! MUST SEE! PRICED TO SELL! Seller is motivated with a new price! A home with EVERYTHING! 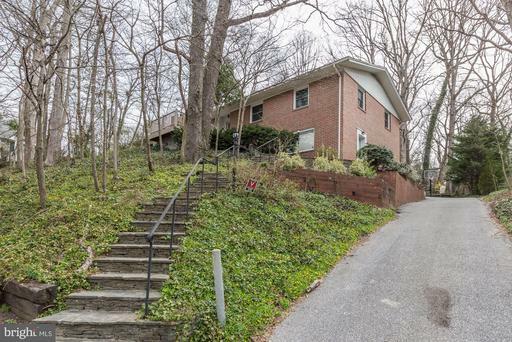 Conveniently located to Ft. Meade, NSA, and MARC train. If you want a home that is an entertainers dream, a cozy and comfortable place to relax, a sports and game enthusiasts paradise, a place with so much indoor and outdoor space and a location that is centrally located....then this is the place for you! Inside you will find 4 spacious bedrooms, 3 and half baths, as well as both formal and informal living and entertaining spaces. Outside in addition to the expansive front and back yard areas you have a full size patio, an in-ground heated lap pool, and an exceptional sports court. This home that has something to please everyone. Come and see for yourself! 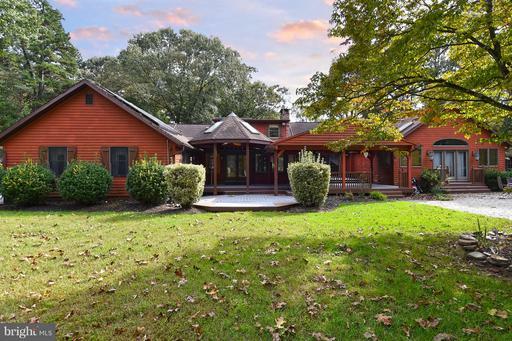 Gorgeous 4-bed 3.5-bath home nestled on over 1/4 acre lot in peaceful cul-de-sac. Open floorplan design, spacious rooms, and large windows make for a bright and airy home. Spacious kitchen boasts ample cabinet space, large island, and sparkling granite. Large master bedroom features en suite spa-like bath, and dual walk-in closets. Fully finished basement with possible 5th bedroom and enough space for an in-home gym! Cozy up by gas fireplace or relax on deck with tree-lined view of large fenced backyard property line extends several feet past fence. 2-car garage and plentiful driveway space. Take advantage of Randazzo Softball Park just around the corner, and nearby amenities including parks, groceries, eats, shops, and more! Come and discover our peaceful and exclusive D.R. Horton townhome community. 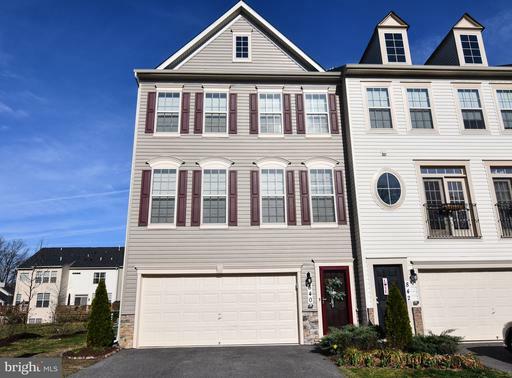 Situated right off of 100, and just ten minutes away from Fort Meade, Arundel Mills Shopping Mall and Live Casino, Severn Meadows places you in the heart of everywhere you need to be. 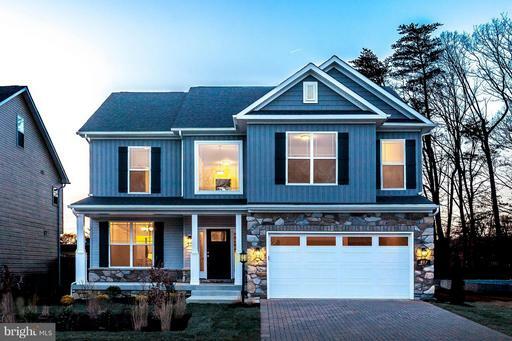 With our 9ft ceilings on every level, luxurious flooring on the entire main level and a spacious owners suite with private bath, Severn Meadows fulfills the focal needs of every homebuyer that is location, convenience, privacy and luxury. Stop in today! 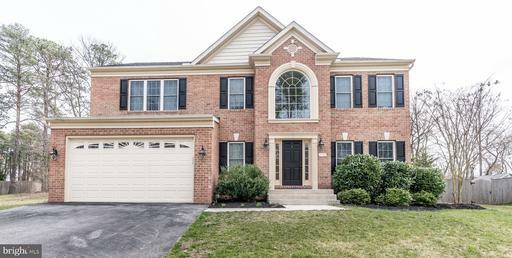 Gorgeous Colonial shows like new! This home boasts gleaming hardwood floors on the main level and a Designer Kitchen featuring Granite tops and Stainless appliances. The spacious Owners Suite features a huge walk-in closet and stunning Bathroom. The large finished basement is bound to impress. 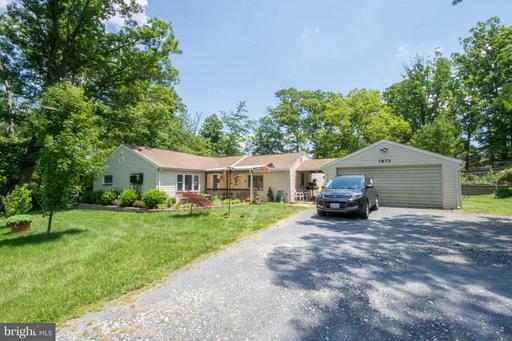 Enjoy the large wooded lot conveniently located near Fort Meade, Parks, shopping! **ALERT** First Floor Bedroom and Full Bath!! Built in 2017, this gorgeous and nearly perfect single family home will stun you with its modern and dazzling interior finishes. With an Open Concept Floor plan the main level boasts a designer kitchen complete with pristine white cabinets, stainless steel appliances, a center island, and quartz counter tops all overlooking the large living and dining room combination. A main level bedroom and full bath perfect for guests or in-laws along with a sleek home office complete this level. Upstairs you will find a huge loft in the center of the home separating three large bedrooms and a bathroom along with the Master Suite with its separate tub and shower, dual vanity and walk-in closet! Your lower level is massive and features an additional bedroom and full bath. You wont lack storage in this home. It is truly elegant, serene and perfect your family~s forever home. Schedule your showing today! Large colonial. Hardwood floors. 3 finished levels. 2 car garage. 6 Beds 3 Full Bathrooms, 1 half bath on main level. Finished basement. Quiet street. Close to everything. Needs some updating but lots of potential. Tax Assessed Value is $408K! Exciting,First time offered new four bedroom, three bath, with walkout finished basement on 2.35 acre lot. 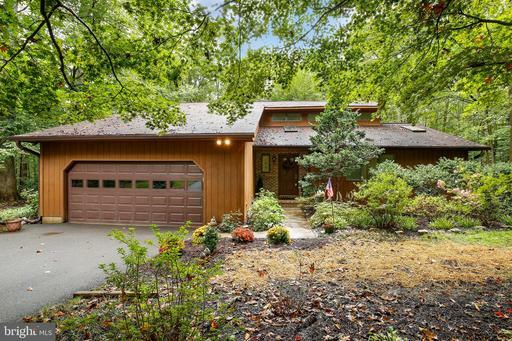 Connected deeded access to Fox Creek of the Severn River! Placement of new two-story house on previous foundation allowed unique location perched on hillside, overlooking conserved wooded valley with stream and winter water views of the Severn. Specially crafted home, preserved stone fireplace w/ gas logs, wrap around deck, cathedral ceilings, all the right upgrades and more. A nature lovers dream! Perfect for Paddle Boarding, kayaking,or sitting at bench at water access see diagram and picture, Herald Harbor is a highly coveted Water privileged Community with a boat launch, private beach, tennis courts and playground in park! WELCOME HOME!! $2,500 closing assistance for use of Sellers preferred lender title company, Note The Total Sq ft of home in Tax Record is incorrect. Possession in May! Surprisingly Spacious and Sunny Colonial in Water Privileged Round Bay ~ Winter Water Views from Kitchen and Deck ~ Tons of Outdoor Living Space to enjoy with Family and Friends with a Large Deck and even Bigger Patio ~ Living and Dining Rooms Open to Patio with Sliders and Kitchen has a Slider to the Deck ~ Enjoy Indoor/Outdoor Living - Functional and Convenient Lower Level Entry by Laundry Room to Take off Your Shoes and Coat and Drop Your Bags ~ Lower Level features a Half Bath, Family/Playroom and Office/5th Bedroom ~ Main and Upper Levels have Hardwood Floors ~ Upper Level has 4 Large Bedrooms with Generous Closet Space and 2 Full Tiled Baths - Severna Park Schools ~ BA Trail Access Across the Street - Round Bay Amenities are among the BEST in Severna Park with THREE Piers and Beaches on the Severn River, Kayak Storage, Party Pavilions, Tot Lot, Tennis Courts, Summer Camp for the Kids, Adult Socials!!! 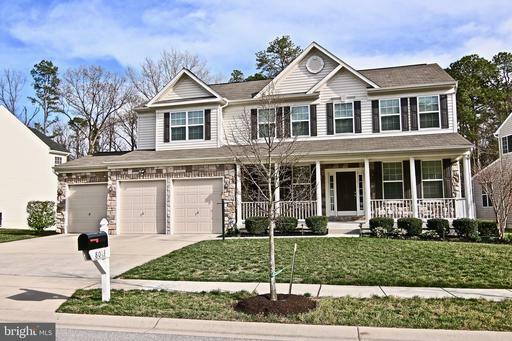 Severna Park Community Living at its Best ~ You have to see this one for yourself! 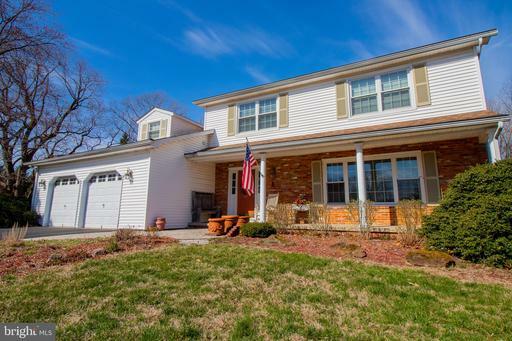 Come by this lovely spacious Colonial in sought after Chartwell on the Severn. The lovely home is sitting at the top of a cul-de-sac and features many desirable features including hardwood floors throughout the main level, recessed lights, ceiling fans and more. This home offers a spacious main level floor plan with an updated kitchen with granite counters, a family room with a wood burning fireplace, formal dining room, formal living rooms, 4 large bedrooms one of which is master suite with walk-in closets and updated master bath with shower and two vanities, a screened in back porch, rear patio area and full unfinished basement. You must see home to really appreciate all the updates and the spacious rooms. Located close to St Andrews Swim and Tennis club, and adjacent to Kinder Park! Seller is looking for a quick sale. Wow! 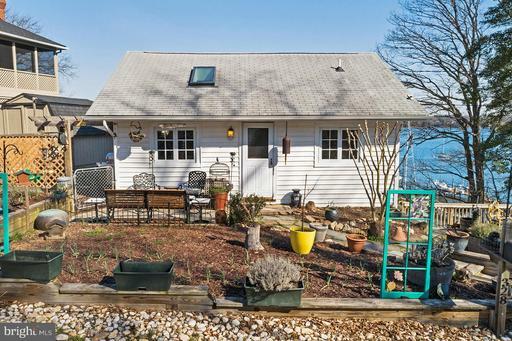 This home sits on nearly 2 acres of usable land just minutes of downtown Annapolis. Spacious one level living home with 4 bedrooms and 2 baths. 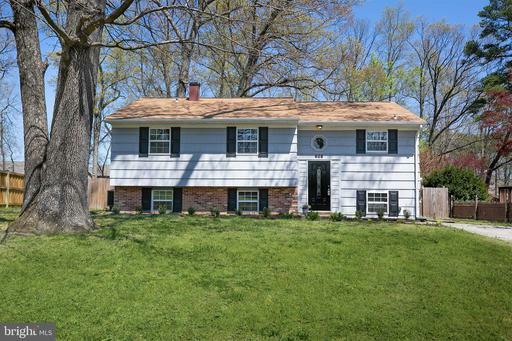 Completely renovated and updated this home features hardwood floors throughout. Kitchen includes SS appliances, custom cabinetry and granite counters. Oversized 2 car garage can be update to accommodate home business. Ample space to consider expanding or consider additional uses for the property. Easy access to Route 50. Broadneck Schools! Stately Colonial offering quintessential Bay living! Boat slip with lift on protected cove off Whitehall Creek spilling into the Bay! Lush natural surrounds with rear paver dining patio and front row seat for boating activity. Launch your kayak in pristine waters! Cathedral Great Room sharing fireplace ambiance with high-end Kitchen and dining Solarium. Butler~s pantry sculpted granite dining bar! Fireplace Family Room Home Office. Fabulous recreational lower level w/space for game tables home theater! Master Suite haven showcasing deep tray ceiling luxury Bath. Masterful architectural detailing at every glance! Style and comfort in perfect harmony! Absolutely gorgeous almost new meticulously maintained garage townhome with tons of designer features and upgrades!!! 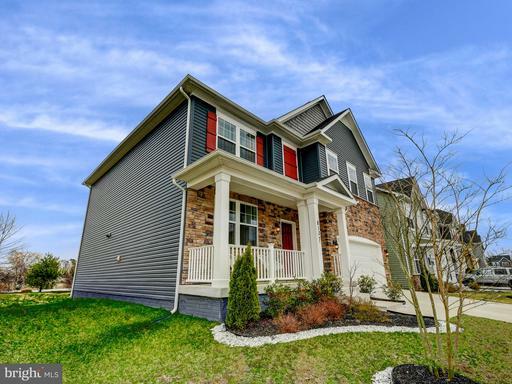 This energy star certified home features an open floor plan with lots of natural light, 9 foot ceilings, 8 foot bump outs on all 3 levels, Wide plank hardwood floors and Custom designer paint throughout. Gourmet eat-in kitchen with granite counters and kitchen island, stainless steel appliances, 42" espresso cabinets, 5 burner gas stove, breakfast bar, large dining room, cozy sun room and large family room and half bath all on the main level. Large master bedroom suite with sitting room, two walk in closets and master bath with double vanity and full tile surround shower. Lower level features a recreation room, TV room and slider to private fenced in patio. Great location... close to shopping, restaurants, parks. Just 10 minutes from Ft. Meade/NSA/BWI, 25 minutes from Baltimore, 20 minutes from Columbia, 35-40 minutes from Washington DC. Dont wait to see this one!!! 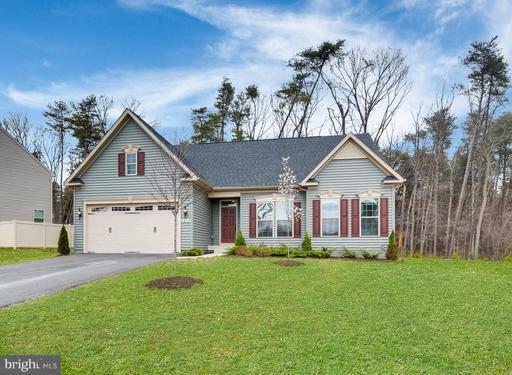 Beautiful, newly constructed ranch-style home with oversized 2-car garage on large, level lot backing to trees in premier Severn neighborhood! Large open floor plan leads to spacious gourmet kitchen with granite countertops, custom cabinets, large island, tile backsplash stainless steel appliances. Kitchen overlooks great room and large sunroom which is able to be used for a dining or relaxing. High ceilings and large windows throughout the entire home allows for a bright interior! Luxurious master suite offers attached spa bath with double vanity, walk-in tiled shower w/ bench and large walk-in closet. All bedrooms are located on the main entrance level. Huge and open unfinished basement is awaiting your finishes with space for rooms, plenty of storage and a full bath rough-in. Laundry area located on main level. 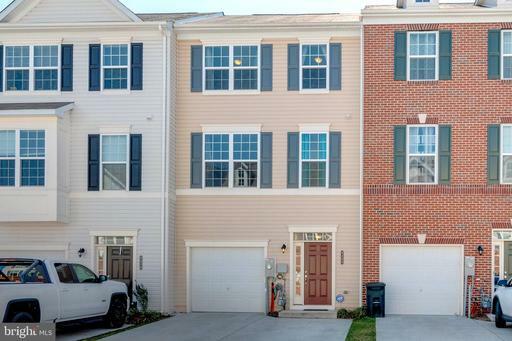 Location is very convenient to commuter routes, Fort Meade, Arundel Mills and so much more! A must see! No age-restrictions! 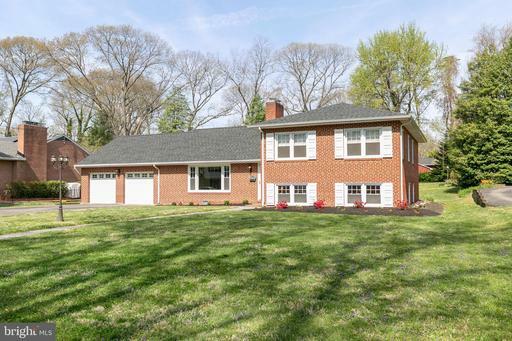 Renovated Rancher with an In-Ground Pool in one of Severna Parks most Desirable Neighborhoods! 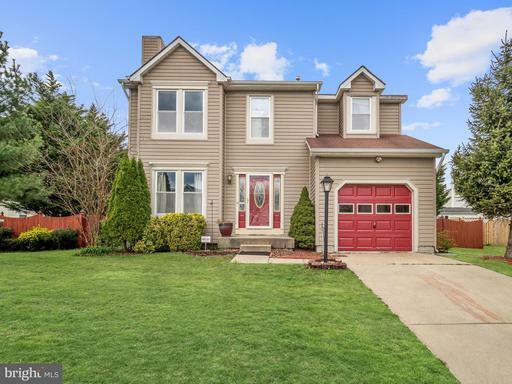 4 Bedrooms and 3 Full Baths Featuring Hardwood Floors Throughout the main level, Updated Kitchen with Granite Counters and Stainless Appliances, 2 Fireplaces, and a Light-Filled Family Room with Cathedral Ceilings and Skylights! Huge Deck and Pool off of the Kitchen make this the Perfect House for Entertaining! 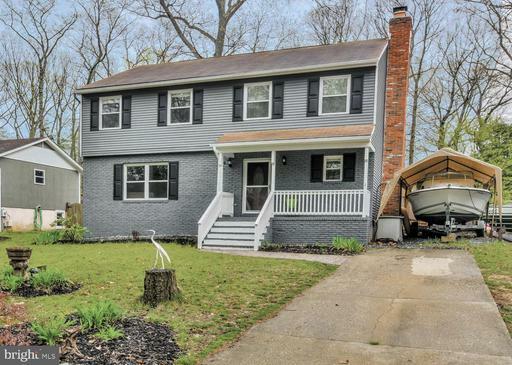 Short walk to the amazing Ben Oaks amenities including a spring-fed pond with white sand beach overlooking the Severn River, 60+ Slip Marina, Boat Ramp, Kayak Racks, Fire Pit, Playground and Tons of Waterfront Green Space! Home is currently rented through March 31, 2020.